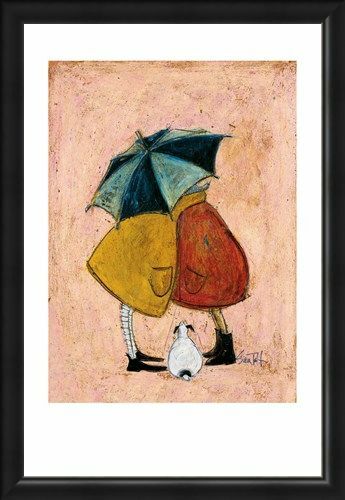 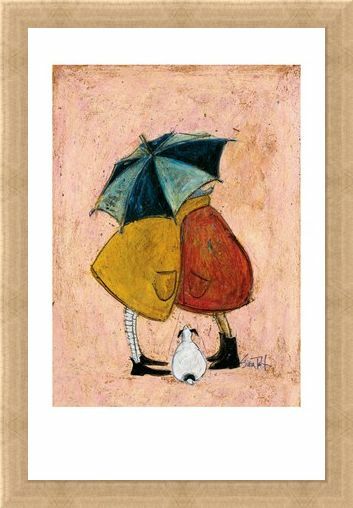 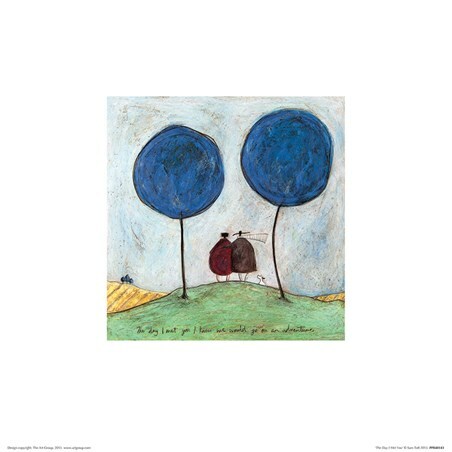 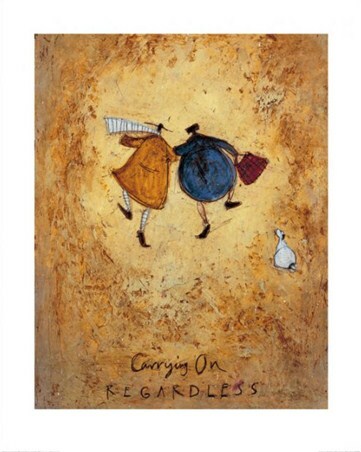 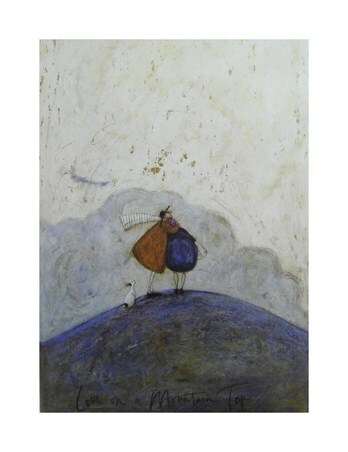 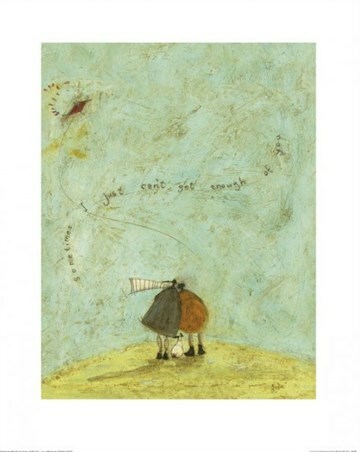 Art Print: Sam Toft is an artist best known for her whimsical work featuring a collection of characters called 'The Mustards'. This charming print will inspire romance and happiness in your home with its delicate illustrative lines and cheeky title. 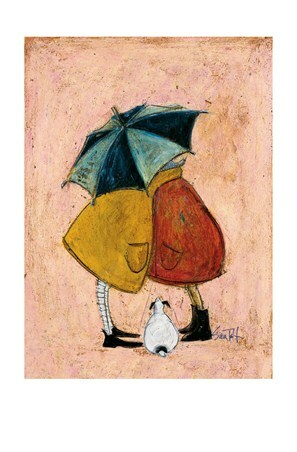 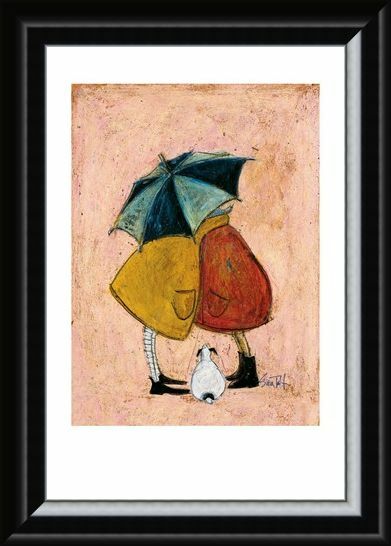 'A Sneaky One' features Ernest and Violet in big jackets as they snuggle together under a blue umbrella and share a sneaky kiss in the rain, meanwhile their little white dog, Doris, looks up to see what's going on. 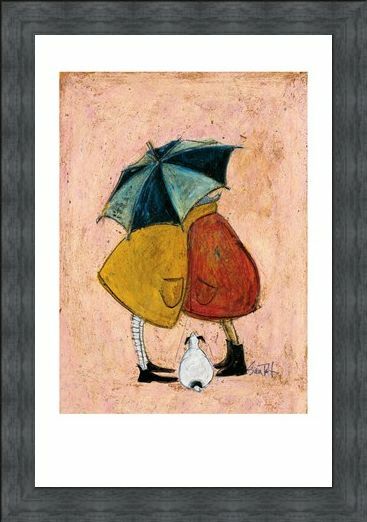 This is a truly enchanting piece with a great sense of fun which will radiate throughout your home whatever the weather outside. High quality, framed A Sneaky One, Sam Toft print with a bespoke frame by our custom framing service.